In the wake of devastating rioting and looting across London and in other parts of the United Kingdom, a Brighton Priest has lit the fuse for more looting in London, suggesting that the answer to the riots is Jesus. 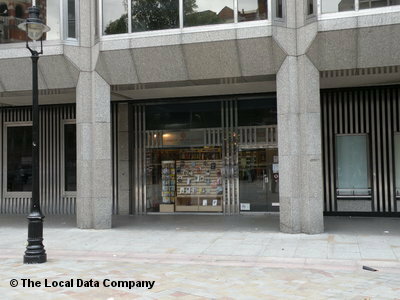 The Catholic Truth Society have responded by sending more staff to deal with what they expect to become a flood of rioters and looters at their store in Victoria, near Westminster Cathedral. "At these times of civil unrest," said the manager, "we're expecting the CTS shop to be looted by young Catholics and non-Catholics at any moment, especially with us being so close to both the Cathedral and Parliament. Fr Ray Blake is right. We know what these young people are after and its Jesus Christ. They've had the expensive trainers and 75" plasma TV screens and seen they don't satisfy. We know they want Jesus and when they come looking for Him, we'll be ready with complimentary copies of Pope Paul VI's Humanae Vitae, the Holy Father's exclusive interview 2010 book, Light of the World, missionary Rosaries and some tea and biscuits on hand. The best way to deal with this threat is to face it head on with Christian compassion and evangelical zeal for souls. There's been no reporting of threats against the shop yet, but we know its only a matter of time and when they come, we'll be ready." Priceless, Laurence. Thank you once again for your wonderful perspective. And, btw, if I've got it right, happy feast day tomorrow. What's all this then? We'll have no trouble here. All good Catholic men gather outside the Catholic Truth Society. Bring mobiles to organise tactics. Good Catholic girls can you bring the milk and biscuits and butter a few scones. Cake would be nice too. I can bring an urn and aprons. "...So the riots have continued for a third evening. However, in terms of overall crime figures in the communities directly affected, they are unlikely to be statistically significant. Nationally, the criminality of the riots may register as no more than a blip." Oh girls, could you bring a few bandages please?